Sixteen boats took part in the 47th annual Peg Legs Round Tortola Race on Saturday (December 10) with trimaran Triple Tripe Jack taking line honours but Boomorang skippered by Kevin Wrigley taking the overall prize on corrected time for the second consecutive year. Chris Haycraft’s Pipe Dream, after battling it boat for boat with Boomorang, was second and Spike skippered by Sam Talbot was a third. Racing class results also went in that order. Triple Jack won the multihull division with contender Fault Intolerant, a Gunboat 60, retiring due to gear failure. David Lake and his crew on Wicked Winch took cruising class and Keith LiGreci’s Girasoli, the performance cruising class. The last three boats back - Gypsea, Wildfire and Sapphire Breeze - all came in within 20 mins of each other as the sun was setting with the last, Sapphire Breeze, racing for more than 8 hours. Triple Jack took 3 hours and 44 minutes. A course change for 2016 race gave competitors more tactical decisions; the course still took the racers anti-clockwise around Tortola but gave them the option to sail between Scrub, Great Camano and Guana Islands and Tortola or head further out to sailing outside them all. However, with the inner route taking 7 miles taken off the course, everyone went that way, thoroughly enjoying the change and the challenge of navigating through some tricky reef formations and an energetic current. Then, as in previous races, the fleet headed to West End where, after a quick wiggle through Soper’s Hole, it was a beat back to the finish line off Nanny Cay. The prize giving was held at the Beach Bar at Nanny Cay where a haul-out and launch and the Round Tortola trophy were awarded to the overall winner and vouchers from Peg Legs and Nanny Cay were dispensed to the class winners. Competitors also picked up valuable points towards the Pussers Painkiller Series. SPOOKIE’s round Tortola record of 3 hours and 8 minutes was under no threat this year. Only boats rounding Great Camanoe and Guana Island to port were eligible for the Nanny Cay Challenge. TP52 SPOOKIE broke the Monohull Nanny Cay Challenge record in the Round Tortola Race at this year’s BVI Spring Regatta. An elapsed time of 3:08:43, took a whopping 21 minutes off the previous record of 03:29:44, set in March 2013 by Peter Corr’s Aiyana, an Alia 82. 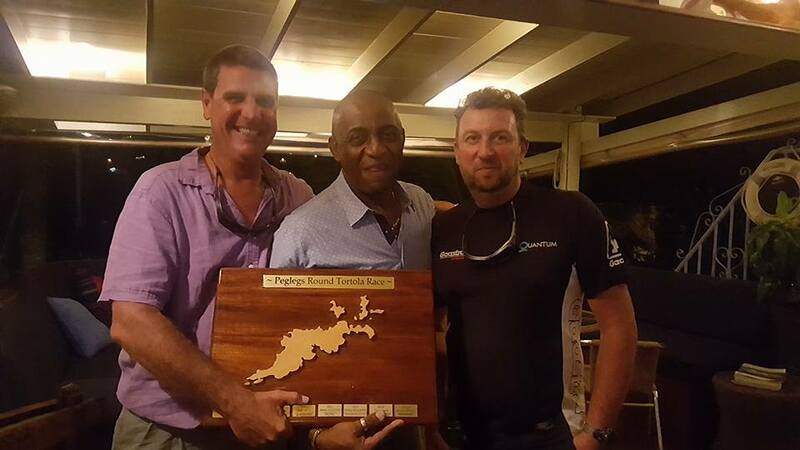 Trimaran Triple Jack holds the outright and multihull Round Tortola Record of 2 hours, 33 minutes and 40 seconds. Nanny Cay launched the Nanny Cay Challenge for the round Tortola record in 2010. Yachts visiting the British Virgin Islands are invited to make an attempt to beat the latest round Tortola records. It’s an all-comer, any-day event, starting and finishing off Nanny Cay. Competitors must attempt the record anti-clockwise and round Beef, Scrub Island, Great Camanoe and Guana Island to port. As with most sailing events, the reward is in the taking part and bragging rights but record breakers will be able to celebrate their feat with a free dinner at Peg Legs for up to 15 crewmembers and a jeroboam of champagne compliments of Nanny Cay. Record breakers also get their name on the perpetual trophy which is on display year-round in Peg Legs Restaurant. 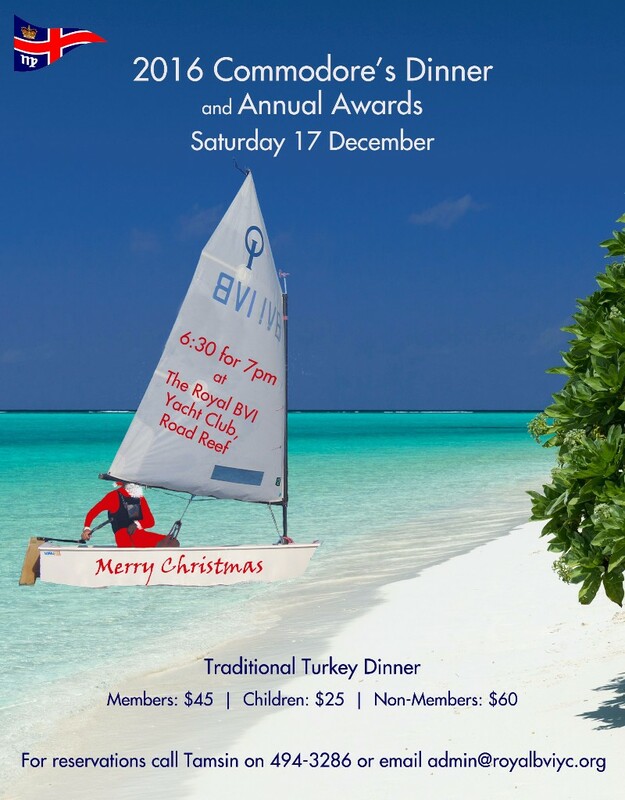 Challengers must pay an entry fee of a $250 which is donated to a BVI charity of the challenger’s choice and includes two night’s dockage (before and after attempt) at Nanny Cay. 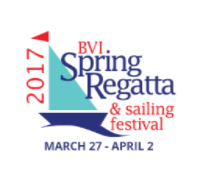 Entries are invited in racing, cruising, performance cruising and multihull classes.